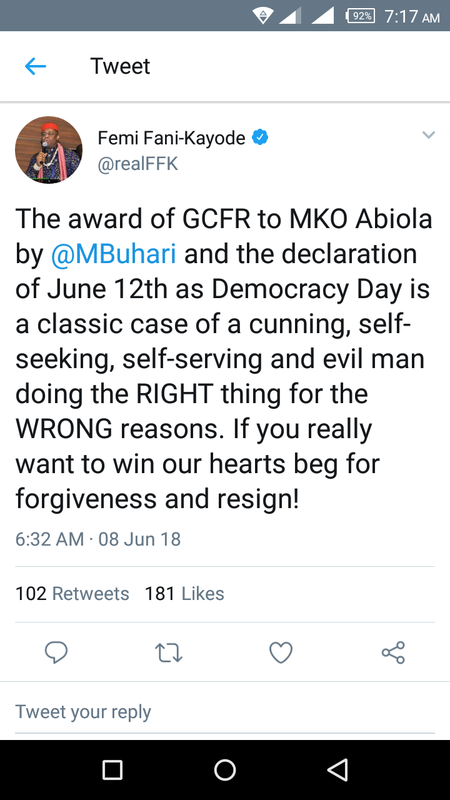 The former Minister of Aviation and PDP chieftain, Femi Fani-Kayode have reacted to Mr. President's declaration of June 12 as the New Democracy Day and the award of GCFR, the highest honor in Nigeria to the then acclaimed winner of 1993 election,, Chief MKO Abiola. The APC critic said the move is cunning and self serving. See what he wrote on his Twitter handle below.. 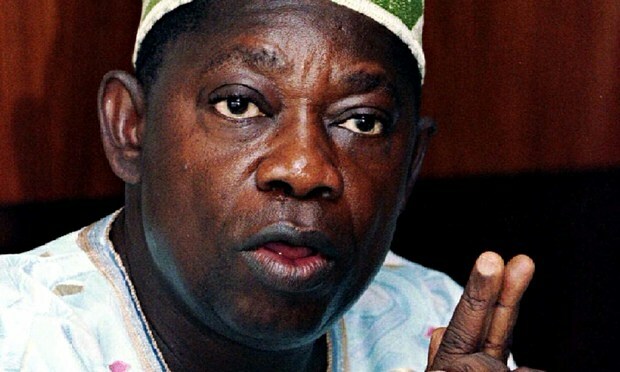 The award of GCFR to MKO Abiola by @MBuhari and the declaration of June 12th as Democracy Day is a classic case of a cunning, self-seeking, self-serving and evil man doing the RIGHT thing for the WRONG reasons. If you really want to win our hearts beg for forgiveness and resign!